00-04 Toyota Tundra, 01-03 Sequoia, 2WD & 4WD: 4.7L V8, Tube Size 1.5" O.D., Collector Size 2.5" O.D., Collector Length 6"
Breaking in an engine with ceramic coated headers WILL result in damage to the coating and will VOID all warranties. Ceramic coated headers require several heat cycles to fully cure before they will withstand extreme heat. Flowtech recommends using cast iron exhaust manifolds or old headers to break in new engines to avoid coating damage. Please call Flowtech tech services at 270-781-9741 for additional information regarding ceramic exhaust products. The use of header wraps can cause the header tubes to crack or rust due to excessive heat and moisture build-up. Flowtech does not recommend the use of header wraps as this will void the warranty. FLOWTECH's emissions-friendly headers are just the ticket for those who want the best of both worlds - top performance and a clean machine. 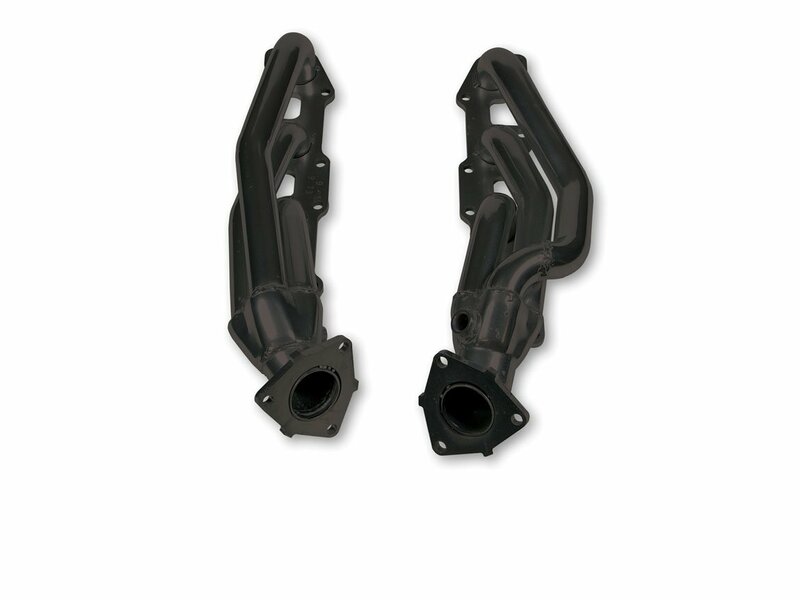 All Shorty Smog Headers bolt on quickly and easily to the factory exhaust system, retaining all stock emissions equipment, and offering maximum horsepower gains plus increased efficiency!.